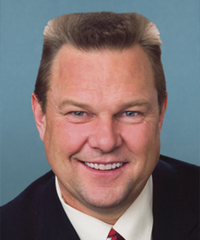 Jon Tester is a US Senator from Montana. He was first elected to that office in 2006. Tester criticized Ryan Zinke’s reduction of national monuments in Utah. He opposes the transfer of federal public land to states, opposes the Trump Administration’s sage grouse plan overhaul, supports the methane rule, and supports full funding and reauthorization for the Land and Water Conservation Fund (LWCF). Senator Tester opposes the transfer of federal public lands to states. Senator Tester opposed Trump Administration’s effort to scrap state-based sage grouse plans. Senator Jon Tester supports the methane rule. Senator Tester supports full funding and reauthorization of the Land and Water Conservation Fund (LWCF).